The new StarLight system has a wide range of practical applications, including virtual reality without on-body controllers and non-invasive real-time health monitoring. The new system advances the researchers' prior LiSense design by dramatically reducing the number of intrusive sensors, overcoming furniture blockage and supporting user mobility. The results will be presented June 27 at the ACM MobiSys 2016, the 14th ACM International Conference on Mobile Systems, Applications, and Services. The researchers studied the use of purely ubiquitous light around us to track users' behavior, without any cameras, on-body devices or electromagnetic interference. They were able to reconstruct a user 3D skeleton by leveraging the light emitted from LED panels on the ceiling and only 20 light sensors on the floor. The system can track the user's skeleton as he or she moves around in a room with furniture and other objects. 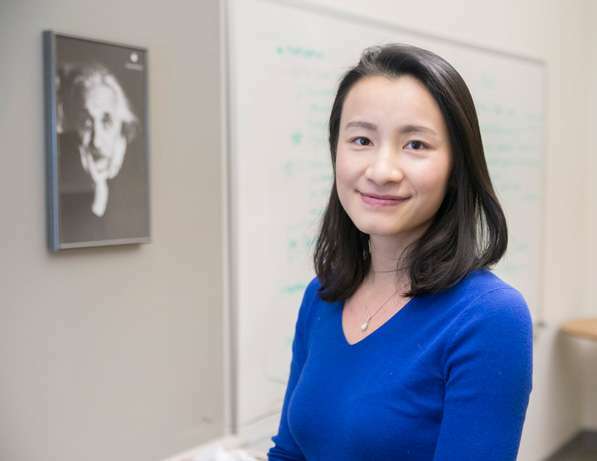 "We're turning light into a ubiquitous sensing medium that tracks what we do and senses how we behave," says senior author Xia Zhou, an assistant professor of computer science and co-director of the DartNets (Dartmouth Networking and Ubiquitous Systems) Lab. "Our new work demonstrates a new unobtrusive sensing paradigm exploiting the light around us. It addresses several key practical issues of light-based sensing, including the furniture blockage, reliance on a large number of light sensors and user mobility. It pushes the vision of light sensing closer to practice. "Light is everywhere and we're making it very smart," Zhou says. "Imagine a future where light knows and responds to what we do. We can naturally interact with surrounding smart objects, such as drones and smart appliances and play games, using purely the light around us. It can also enable a new, passive health and behavioral monitoring paradigm to foster healthy lifestyles or identify early symptoms of certain diseases. The possibilities are unlimited."